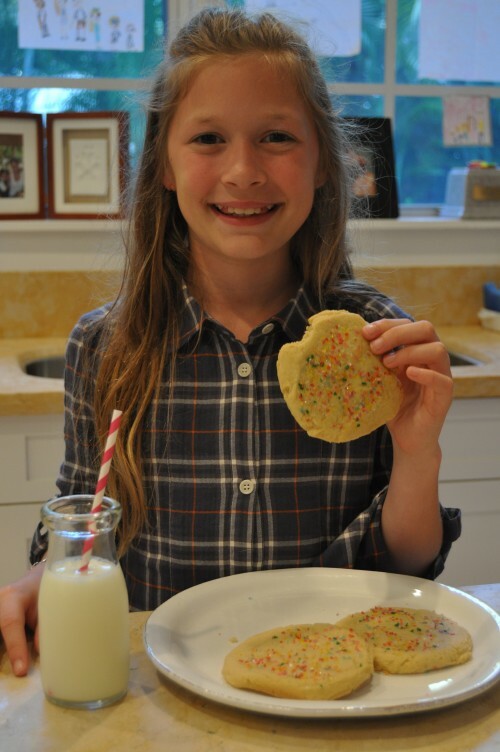 Rainbow Sugar Cookies with Grace | The Sweet Life By B. This baking project was really Joby’s. Since he was not feeling well, his big sister Grace decided to take over. She made the first ever cooking blog episode for The Sweet Life By B. Enjoy the Rainbow Sugar Cookies! Christmas is coming- but shouldn’t we acknowledge Thanksgiving first? What can I say,I am speechless. Grace, you are awesome and a natural actress. To be able to make the cookies, explain how to make the cookies, and look at the camera at the same time is not an easy task. I am so proud of you. Please keep these videos coming, I loved it!!!! that was so good. Gracie did a FANTASTIC job! And Joby was a good helper too.